This easy tutorial shows you How to install Kodi 17.1 Ares Wizard on Amazon FireStick or any Kodi-enabled device. We also show you how to very easily get the Ares Wizard PIN number you need to install Kodi 17.1 Builds with Ares. 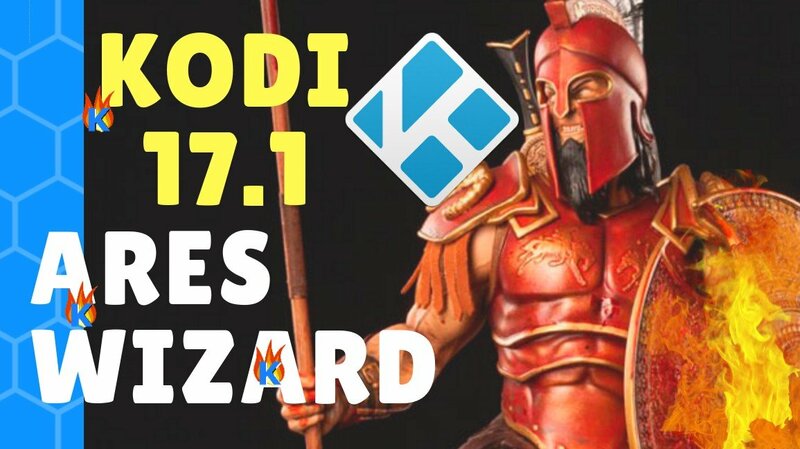 This tutorial walks you through how to install Kodi 17.1 Ares Wizard in 10 minutes or less. Take advantage of my easy written guide below or my YouTube tutorial video on How to install Ares Wizard in Kodi. TVAddons team made a great collection of Kodi plugins called the Kodi 17.1 Config Wizard. Most urgently, install a Kodi VPN to unblock all Kodi providers and protect you from being tracked by your ISP. Go to SYSTEM, which is the Gear icon in the top left corner. Then turn on “Unknown Sources“. After that, press Yes. Now choose the box that says “Enter a name for this media source”. Enter a name such as “kfiretv ares” and press OK.
Now choose the new source you added, “kfiretv ares“. Now wait a minute for the Ares Wizard (which installs Kodi Builds for us) to finish installing. 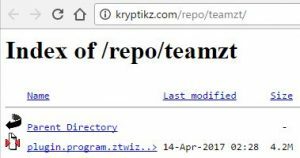 After you see the “Ares Wizard” add-on enabled notification, go to “Install From Repository”. Then press Install. Ares Wizard is now ready to install the first time it is run. Now return to the Kodi homescreen by pressing Back on the Fire TV remote a few times. Then under Program Add-Ons, choose Ares Wizard. Wait a minute for Ares Wizard to finish installing – you’ll see the Ares Wizard enabled notification. Wait for Ares Wizard to Launch and load the Best Kodi 17.1 Builds. You may need to attempt launching Ares Wizard two or three times. After Ares Wizard is open, select a Kodi build, such as Kodi 17 Pulse build. After that, if the build you selected requires you to enter a PIN, then use a second device like an Android / iOS smartphone / PC to browse to the address displayed on your Kodi screen (the address for mine was http://bit.ly/build_pin recently, but previously it was http://bit.ly/getpin. Enter the PIN number shown by your browser into the Ares Wizard “Enter PIN” box on your screen. Then finally select “Pulse Build Krypton”. After that, select “Install” to start the Kodi Pulse Build install process. After Pulse Build is done installing, restart Kodi to enjoy the madness. Don’t forget to unblock all Kodi streams with our Kodi VPN tutorial. What is Kodi Ares Wizard? Kodi Ares Wizard is an amazing collection of Kodi builds that provide you with amazing addons for streaming TV and movies. Ares Wizard for Kodi 17.1 Krypton provides you with an easy-to-install selection of great Kodi Builds to install on FireStick or any device. We hope you dig Ares Wizard Krypton! Hey Olin, the pin number changes every 20 minutes, but is really easy to get. Check out the new Ares Wizard article. The web address to visit for the pin is there. Please let me know if that was easy for you. It really is as simple as visiting a web page that has a number in big, red letters for you to type into the Ares Wizard.